OK – it’s a silly name. But there is nothing silly about being in business for yourself on a $298 investment. Here’s what’s up: Vermont Soapworks makes truckloads of handmade, cold-processed, organic, aromatherapy and herbal bar soaps every year. We sell around the world under many private labels. You will receive: 120 handmade bar soaps, made from 100% certified organic vegetable oils and herbal extracts. No animal products* or testing. *The Honey bar soap contains pure Vermont Honey. YES, you can sell under your own brand! 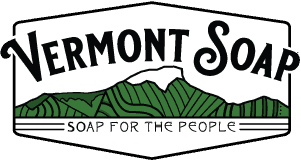 You can start a soap making business or sell under our Vermont Soap Organics name – or create your own brand and packaging. Make your own names and labels to customize your crate.